Ever since the RV’s inception, people have fantasized about the possibility of living on the road full-time. Whether it’s leaving the “rat race,” seeing the world, visiting family and friends, or enjoying retirement, there are countless reasons why one might consider life on the road. The good news is, it’s possible! About a million people in the United States call their vehicle their home. However, many of those people are not itinerant. 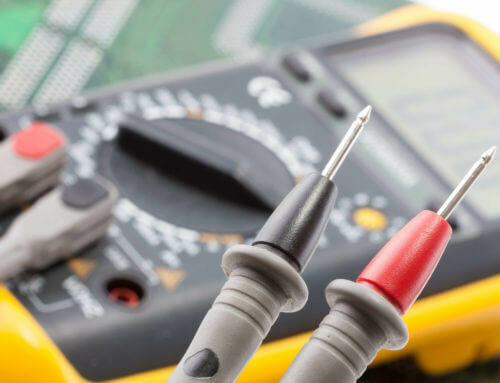 To really make the most of your RV lifestyle, you will need to do some planning. This blog is a resource for beginning that process. The decisions you will be making all come back to money, so the better you are at making a budget and sticking to it, the better off you will be in your RV. The first thing you need to explore is: What do you want your lifestyle to be? Why are you traveling? Are you visiting specific people? Are you choosing a particular city or state as your primary residence? What places do you want to explore? How long do you want to stay there? In this section, we expand upon each of these topics. Specific answers to these questions will help you understand what it will take for you to succeed, and envision the correct path to making it happen. This is a crucial question that separates those who “live in an RV full time” from “true RVers.” If you never go anywhere, you may be able to afford your lifestyle, but you will have a tough time enjoying all the benefits of owning your vehicle. If you can develop a strong sense of where you would like to travel, how long you want to stay there, and what you would like to see along the way, then you stand a much better chance of creating the plan necessary to make it happen. This plan should include how often you want to travel, how far you will go, and where you will station your vehicle. The idea here is to avoid being a victim of your circumstances. Yes, it may be true that some move into an RV out of necessity. However, we should consider this a blessing in disguise. If this describes you, your new home offers you much more freedom than living in a house or apartment. Once you can envision how to make the most of it, then you can begin to acquire the resources you’ll need. What standard of living do you want to enjoy? Lifestyles include many things! What kind of food would you like? How often do you want to go out to eat? What kind of tourist attractions and events would you like to attend? How often would you like to go out? Do you have any expensive hobbies or habits? What kinds of amenities would you want to have in your vehicle? These questions are really about being honest with yourself. If you want to move into an RV full-time, you will have to live within your means. Even if you are adjusting your expectations to suit a modest lifestyle, you still have needs and wants. Knowing those will help you identify where your income will come from, and how to manage it. After planning where and how often you will travel, and what kind of lifestyle you will have, you must then create a budget. Are you content with one source of income? Or, will you need a side job to support it? Fortunately, many freelance jobs enable you to work remotely to pick up some extra cash. Once you have your income settled, then it’s all about being true to your budget. The budgeting phase is exciting because you can find many ways to save if you know where to look. 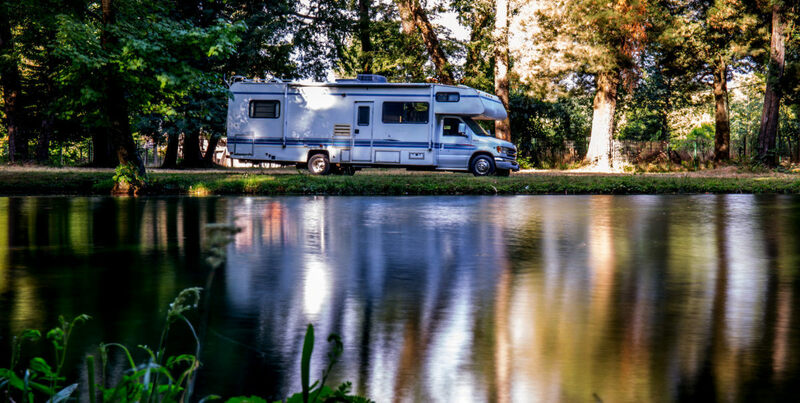 There is more pressure when you live in an RV, because if you cannot manage your expenses, the consequences may be more severe (e.g., getting stranded, having no water or plumbing). However, if you can handle it, the cost of living can be much lower, and you will enjoy a much different experience of life. After assessing your travel plans and lifestyle needs, it’s time to select a vehicle suitable for full-time RV life. Because you know what kind of lifestyle you want, you’re in a position to choose the make, model, and size of vehicle that will meet your needs. The exact vehicle is critical because it determines all of your vehicle-related expenses: Utility costs, gasoline efficiency, amenities and upgrades, and any other features that may have a recurring cost. 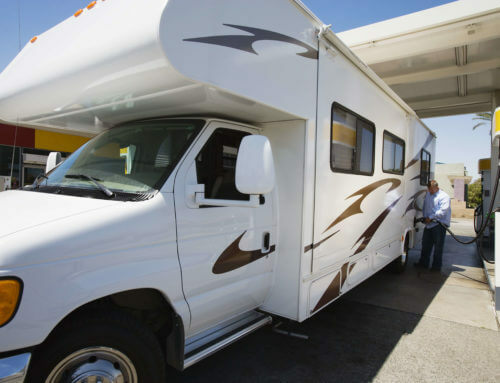 Important: If you already own an RV, you still need to go through this process. The choice of vehicle should directly reflect the quality of life that you intend to enjoy, and the costs of maintaining that lifestyle. Ideally, your vehicle should help you save money. 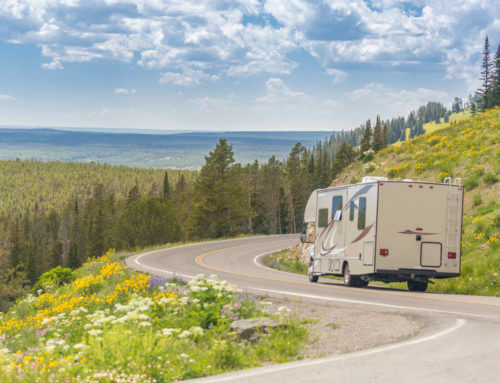 If you own an RV, and you consider replacing it with a smaller or larger model (for whatever reason), you will have to weigh the costs and benefits of replacing it against the costs of keeping the one you have. After all, taking an occasional trip and living in an RV full-time are very different, and the cost of changing vehicles may be worth it. Once you know what level of income you need to attain and how it will make your new life possible, you need to go out and secure that income. You can’t take action until you are stable. Once you are, then you are ready for the final step. Now that you have the funds coming in that you need, you and your loved ones need to go out and purchase the RV (if necessary) and move out of your house. Of course, moving can be stressful. However, after selling and storing your belongings and selling your home, you’re ready to turn the page! With your old life in the rear-view mirror (literally), you can begin to enjoy all of the many things that America has to offer. Now you can face life on your terms.